If you want to bee the life of your next party, show up carrying your salad in a bowl covered by a homemade beeswax cover. Everyone will be asking for the name of the hip new marketplace selling them. You will definitely create a buzz when you tell them you made them yourself. It's a beautiful way to reduce daily plastic waste and be more eco-friendly. These reusable covers are washable so they'll last up to a year and then all you have to do is re-wax them. 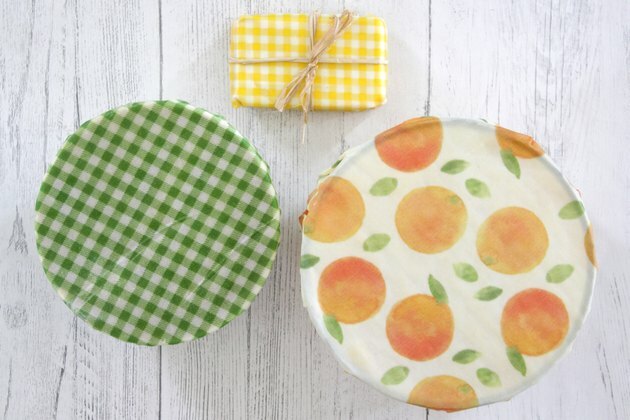 Sounds like you'll get a double re-use score when you make and use your own beeswax food wraps. 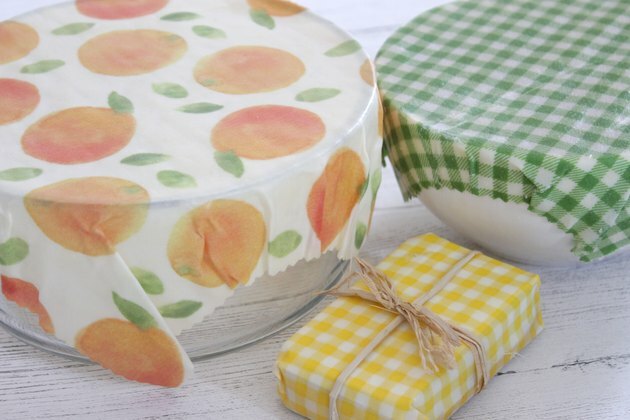 Cut squares of 100% cotton fabric in sizes to fit your bowls. 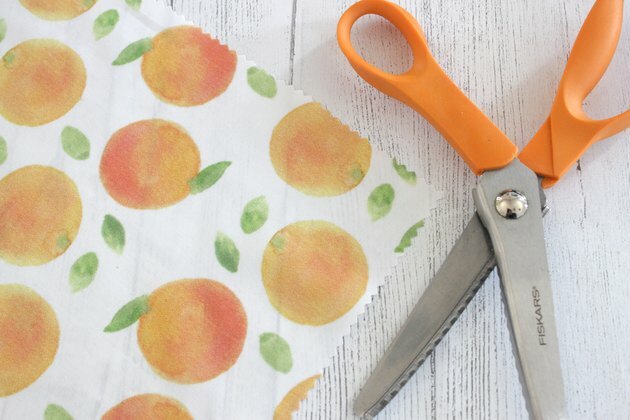 Use pinking shears to help keep your fabric from fraying. 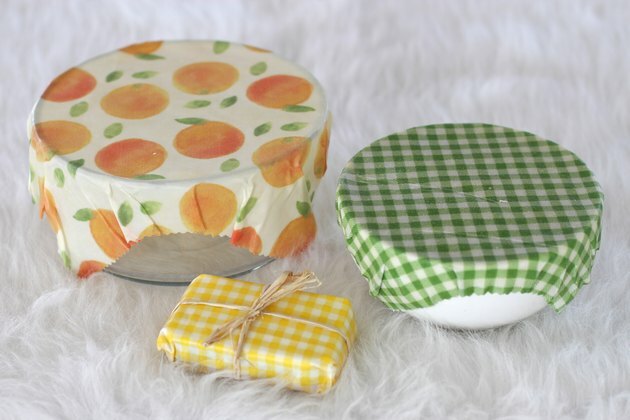 Some common sizes for bowls are 8 x 8-inch, 11 x 11-inch, and 14 x 14-inch squares. 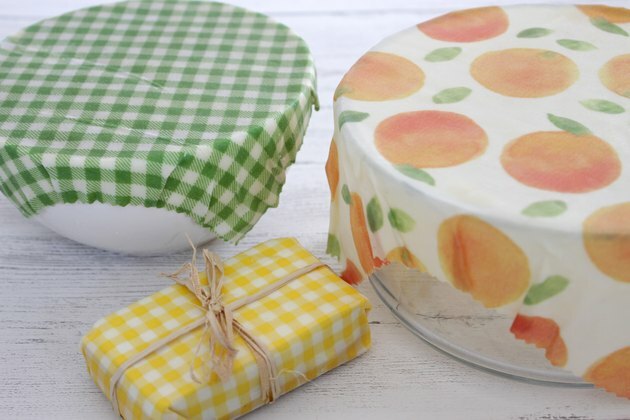 You can just use the beeswax pastilles to make these wraps if you'd like. It works just fine. When you place the wraps over the bowl just use the warmth of your hands to mold it to the bowl. But, for a more pliable wrap, use the copal resin and jojoba oil in addition to the beeswax. 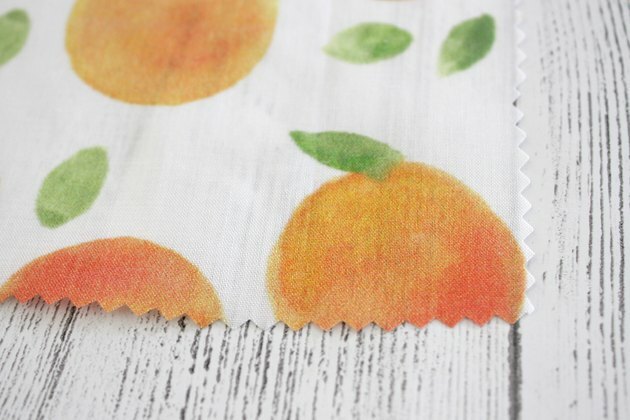 For an 11 x 11-inch square of fabric, mix together 1 tbsp. and 1 tsp. of beeswax pastilles, 1 tbsp. and 1 tsp. 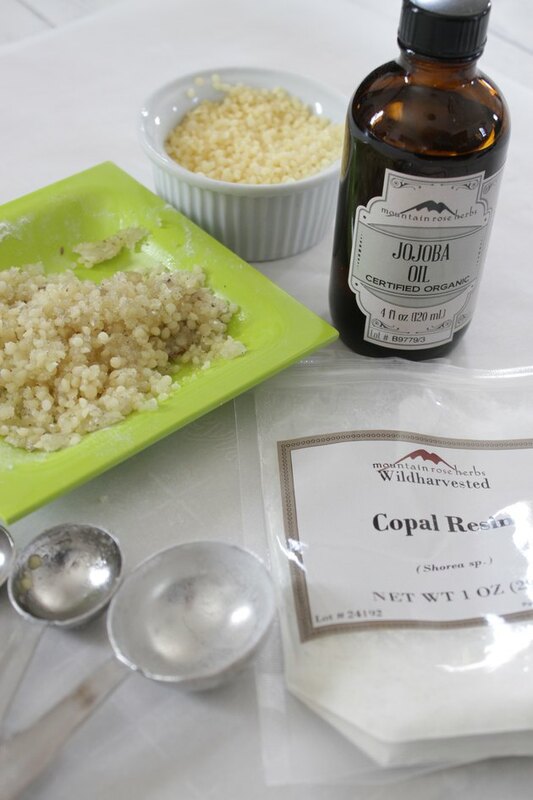 of copal resin, and 1 tsp. of jojoba oil. Mix well. 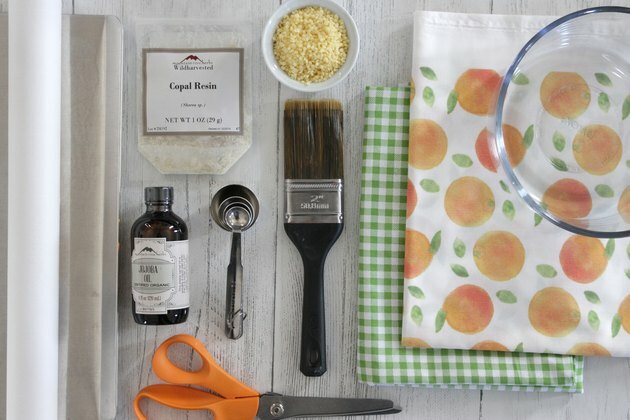 Place a piece of parchment paper on a baking sheet and place the square of fabric on top. Spread the beeswax mixture evenly on the fabric. Place the baking sheet in an oven preheated to 225° F. Bake for 15-20 minutes until the wax mixture is evenly melted. 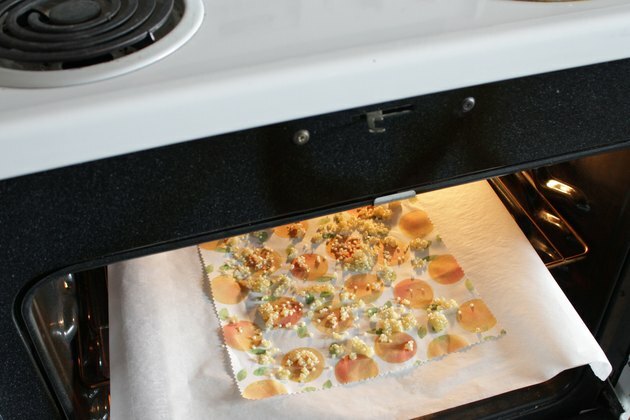 Remove the baking sheet from the oven and use the brush to spread the melted wax. If it's not completely melted and even, place it back into the oven for another 5 minutes or so. 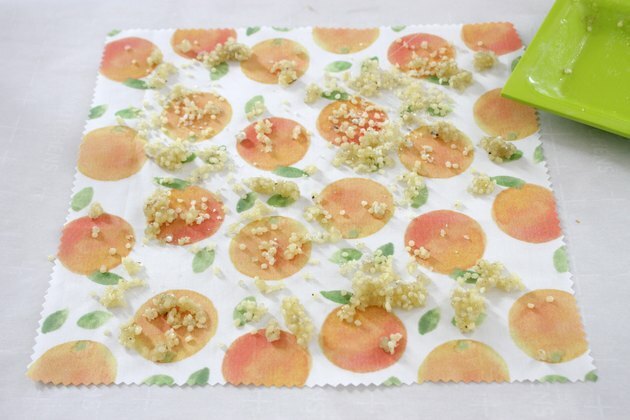 Use a pair of tongs to gently remove the fabric from the parchment paper. Let it cool for a few minutes to set the wax. 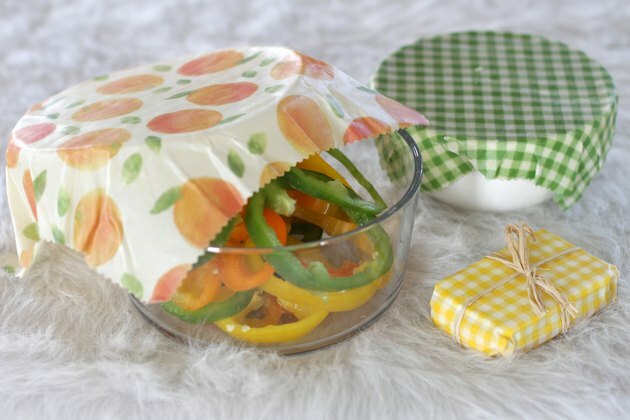 Place these handy and reusable covers over bowls or wrap up sandwiches, fruit, nuts and cheese. They can be washed with cold water and a mild soap and used over and over again. SCORE!